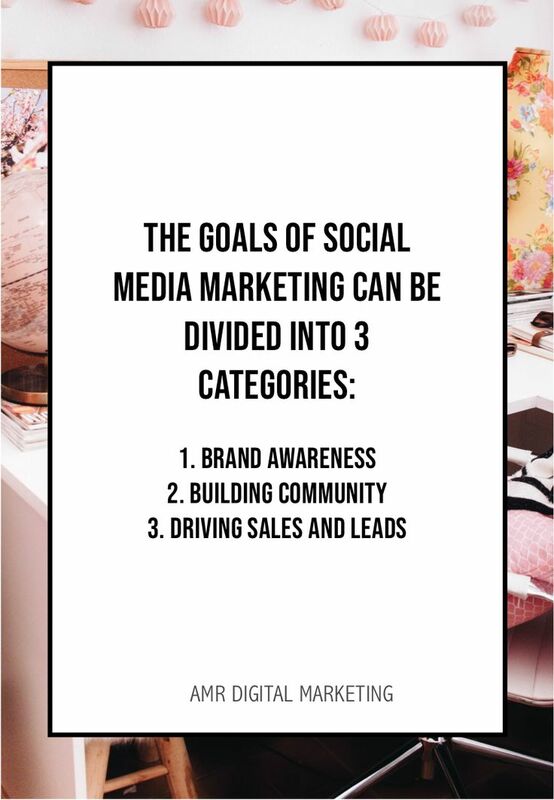 The goals of social media marketing can be divided into 3 categories: ⠀⠀⠀⠀⠀⠀⠀⠀⠀ 1. Brand Awareness : Making your brand relevant to potential buyers. ⠀⠀⠀⠀⠀⠀⠀⠀⠀ 2. Building Community ? : Social media provides brands with the opportunity to connect with and form lasting relationships with thousands of potential customers in real time. ⠀⠀⠀⠀⠀⠀⠀⠀⠀ 3. Driving Sales and Leads ? : If you’re not using social media to acquire leads and generate sales, then you’re not using it correctly.